How frightfully common! How ghastly and unbecoming of the elitest dresser of DW! Surely a question that would only be posed in public by middling middle managers and insecure influencers that populate SF. But I’ll make a deal. You reveal the identity of your backalley Neapolitan tailor along with il suo amico-cliente pricing (inclusive of candies for the ladies and espresso for the gentleman), and I’ll post the price list for the entire range of Scottish knitwear at Charvet with my friend’s personal contact information. Don’t worry I’ll go tomorrow and post the prices for everyone. I’m a well known friend customer of this noble house. Oh I’m not worried. Anyone can call the magic number on their singular website and ask this simple question. Oh i agree. They are very easy to get in touch with. Just ask The Shooman who has been waiting for a reply to his email for 2 years and the black SF igent who they prevented from entering the premises by locking him out. I really don't understand it. I wrote to Charvet, O'connell's and Kabbaz about their knitwear (big buck items) and none of them bothered answering me back. They have emails and say they will get back to customers, but it seems to be nothing but a lie. They all give such lousy impressions when they can't even muster up the manners to make a response. I really don't want to bother with any of them anymore, why should l support those type of people who seem to think l am not even worthy of a response. My emails are very simple and short so l can make their job as easy as possible, but even that is not good enough for them. I want to support good people with manners and good customer service, I just ask for a simple response to a simple set of questions within a 2 week period if possible. The two questions l usually ask are: 1). what is the pit to pit measurement, 2). how long is the jumper? That's it! A famous forum bespoke maker missed a sure sale a while back. His site promised to get back to me within the hour (unless night time), but about 2 months later l am still waiting for a reply. Remember fellas, talk is cheap. These people can promise the world, but actions speaks louder than words. Don't talk the talk, walk the walk and you'll get people's respect. I asked for friend-customer pricing, not about your special arrangement. Thanks! I’d imagine that picking up one each in navy and gray would be a great beginning to any Scottish knitwear collection. Especially for those who, unlike some of us (myself, The Shooman , and CesareRomiti ), are uninterested in being haunted by dead men. The full price list to come quite soon. . . In the meantime I can share that I paid, as a brown non-European, around 600 Euro for the roll neck and 1000 Euro for the intarsia cardigan. Natives will have to cough up an extra %15 for the tax. And what the hell is “cmt”? LONDON, United Kingdom — A fashion business exercises careful control: over its image; its business growth; where possible, over how consumers respond to its brand. But even the world’s most prestigious luxury houses cannot control the climate. Currently, cashmere products make up €4 billion of the €60 billion global luxury apparel market, according to data provided by Bain & Company. “The cashmere knitwear market is definitely outgrowing the luxury apparel market,” says Federica Levato, senior consultant at Bain & Company, who cites “casualisation of the market” — dressed-down, comfort-led trends like athleisure — as the main driver of demand. In the last few years, the “democratisation” of the fashion industry has caught up with cashmere. Once a highly expensive commodity, available to an exclusive few; today, affordable, casual cashmere products have permeated the high street. 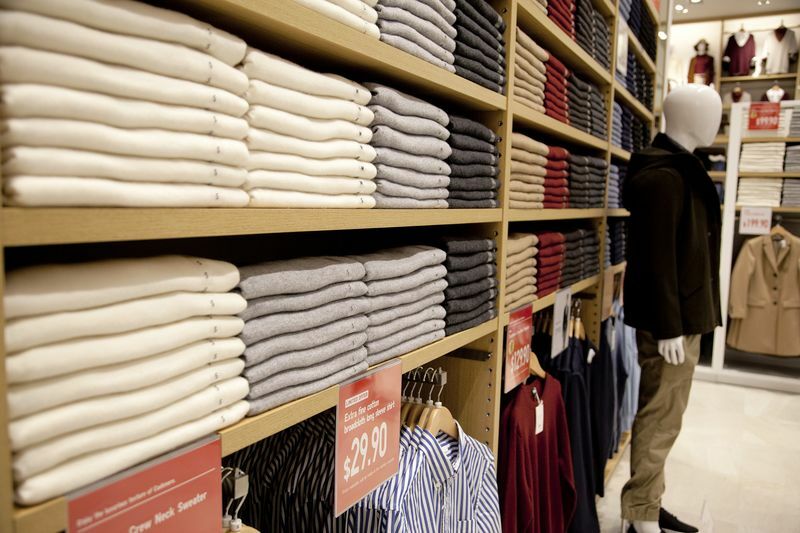 At Uniqlo and H&M, pure cashmere knitwear starts at $79.90; while athleisure retailer Kit & Ace has built its brand around "technical cashmere," — blends of cashmere and sport-friendly materials like spandex. 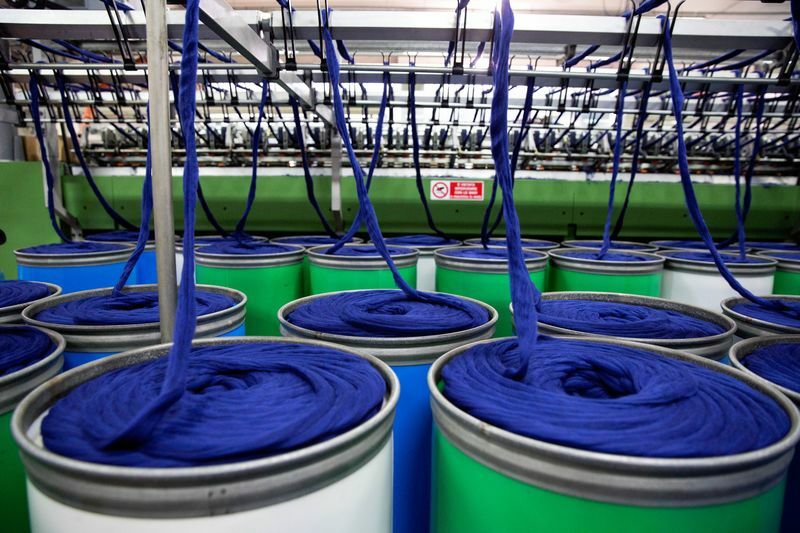 However, in recent years, the environmental obstacles facing cashmere have worsened. To tackle rising demand, many producers increased the size of their herds — from 1993 to 2009, Mongolia’s livestock population grew from approximately 23 million to 44 million — creating a vicious cycle. More goats mean more grazing; which, in turn, leads to degradation of the grasslands. The result is undernourished goats with coarser hairs, causing the supply of high-quality cashmere to shrink. To make up the lost revenue, herders breed bigger herds, setting off the cycle again. “Lately what has really worried us as a potential risk for the whole industry is the quantity approach: quantity seems to be overtaking quality,” concurs Mr Loro Piana. Cashmere’s future is even more precarious. While the dzud is an extreme, cashmere yields depend on harsh winter conditions to grow their high-quality undercoats. Looking forwards to 2036 to 2060, Kering and BSR warn that rising temperatures due to global warming could also constrain goats’ winter hair growth, causing further decline in the quality of cashmere. “There’s sort of a perfect storm,” says Elisa Niemtzow. So, what does this mean for fashion businesses? According to Niemtzow, luxury brands are already seeing decreases in availability of high quality cashmere. “You can either take it as a decrease in quality or a decrease in availability,” she says. Either way, the raw material is running out. Two years ago, the Chinese government put restrictions on farmers’ acreage, in a bid to reduce the stripping of the pastureland. However, Outer Mongolia and other producing regions like Afghanistan have no such controls. Even within China, “The problem still remains in terms of finding quality fibre, consistently,” cautions James Sugden. According to Daveu, Kering’s brands are working with their suppliers to create “production systems that are more resilient to the shocks of climate change impacts,” such as sustainable herding practises and holistic management of pasturelands, or implementing early warning/disaster management systems to respond to negative weather events. But, with demand for cashmere still high, companies must consider the herding communities in their supply chains, and make it worth their while to farm less, but better. “Desertification also exacerbates economic hardship for herders and drives them into poverty and displacement to urban slums,” says Una Jones, chief executive officer of the Sustainable Fibre Alliance (SFA), which was formed in 2015 to unite companies, governments and NGOs to tackle sustainability issues in the cashmere industry, by establishing the first Sustainable Cashmere Standard, which will pilot in 2016. “In bad years, we pre-pay. We give the farmers advance money, in order to see them through the winters,” says Sugden of Brora, which processes its garments in Scotland and sources its cashmere from Inner Mongolia, where goats are not just sources of cashmere, but meat and milk for the herding communities. If the commodity price of cashmere drops, “Our responsibility is to try and not take advantage of that. We want consistency of quality, number one. The price is secondary,” he says. “A number of luxury brands and retailers are stepping up to the plate,” says Una Jones, to tackle the industry’s current “unsustainable production and consumption patterns and how the sector will have to change to meet their future demands.” Last year, for example, Burberry added protecting its cashmere supply to the company’s environmental targets for 2017. But is it too late for the so-called “diamond fibre?” Should fashion business also adapt their strategies to the possibility of shrinking cashmere supplies? Bought a 1960's Lyle & Scott cashmere cardigan. I've wanted some brown cashmere knitwear for some time. Just a note to say that the brand new Brunello Cucinelli cardigan l have pills moderately like the Johnston of Elgin cashmere jumpers, yet the top vintage scottish knitwear hardly if ever pills. Can we see/will you show us your Zambrano stuff? Saw recently the name of Ginno Cimmino, old taylor of politicians, princes, kings and drag queens. Youv'e certainly heard about him. Seems interesting. It's what I thought. I always knew you were an hologram or one the subpersonality of ConchitaWurst . Trio infernale in just one skull. Don't forget the fourth guest, Lumpen. I don't know where you are getting all of these from, but they are simply incredible. You are very lucky. It must be an amazing feeling to have access to this type of knitwear. Actually, l have my eyes on things too. These americans! Crazy! Selling everything!!! Club Room has been made in China for years and is supposed to be rubbish so it will be interesting to see how the vintage Scottish stuff is. I wore this yesterday (see above), and while the cashmere seems o.k and is made-in-Scotland, the drawback is that it has low armholes. Snagged this yesterday, a Paul Stuart polo knit for the occasions when it is too warm to wear a turtleneck but cool enough for wool to be worn. 30% cashmere and 70% wool. Also bought some quality Ballantyne cashmere scarves a while back, a red 1970's scarf and a 1980's in yellow. Bought another cashmere polo, a great Pringle 1960's tan cashmere polo. The 1960s Sharpies started the Sharpie trend with their cable knit cardigans in colours like maroon, bottle green and mustard, mainly worn by the boys and sky blue or yellow for the girls. The cardigan designed in the 1970s by F & L Conte Knitwear at 873 High Street, Thornbury became the standout fashion to the 70s Sharpies. Firstly they were bought off the shelf, with stripes in various widths and colours, as a V-neck, round neck or with a collar, similar to cardigans available from Joseph Saba, Northcote and Stag. Mr Conte manufactured his cardigans from a shop front, so soon the Sharps were requesting custom colours and patterns to stand out from their mates, front pocket flaps were added on the chest, as well as a small buttoned belt on the rear. The average adult wage in 1972 was around $90 per week with those just leaving school or starting an apprenticeships about half that, so a Connie back then at $26 equates to about $350 today. Eventually these cardigans became known as "Connies" and other companies like Sam's Knitwear in Sydney Road, Coburg soon followed with custom design manufacture. By the mid 1970s, Connies were the top teenage fashion trend of Melbourne and commercial companies cashed in with brands such as Goodman, Calabria, Waldrons, Onyx, Knitland and Wellsknit. The end of the 1970s saw the end to these distinctive cardigans, until today with the recent interest in Sharpie culture from exhibitions in 2006 and 2010 and the numerous books on Sharps that have recently been published. To differ from the original Connies, these reproductions are produced under the same name "Conny" with matching high quality materials and slim fit, they are still made in Melbourne by a local Knitwear company. 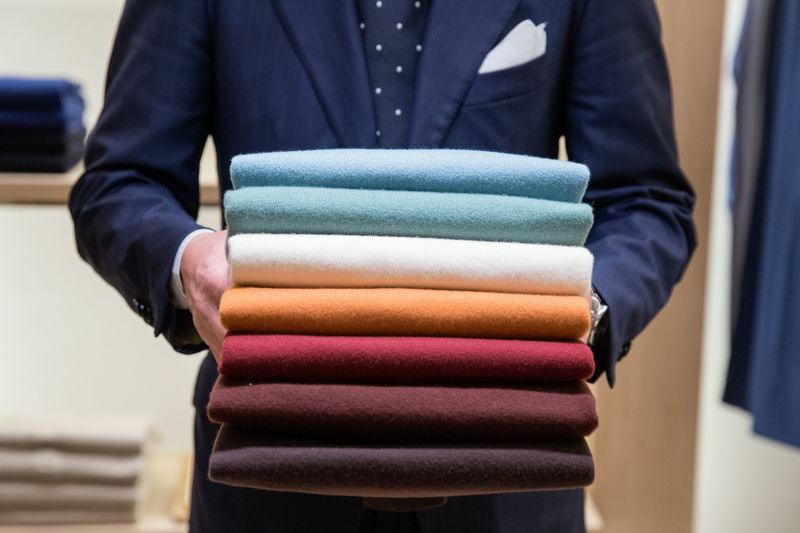 Cashmere pullovers on the move at a Loro Piana store in Milan. A plain, yet meticulously crafted, sweater made of the world’s finest cashmere can cost $2,000 or more from premier fashion labels such as Loro Piana. You can also grab a simple sweater of 100 percent cashmere off a discount rack at Uniqlo for as little as $29.90. Made from the softest wool produced by certain breeds of goats, such as the Zalaa Ginst white goat and Tibetan Plateau goat, cashmere was once reserved for the wealthiest fashionistas. (Napoleon Bonaparte’s wife helped popularize the fabric.) But over the past two decades, its cachet skyrocketed and cheaper garments flooded the market. Dyed cashmere fleeces being spun at Loro Piana SpA's plant in Roccapietra, Italy. The quality of the raw material often matters most. Lengthier cashmere fibers maintain their integrity for a longer time, allowing garments to retain their structure. Pilling—the small balls that form on the fabric as it chafes—is more common in garments made of shorter cashmere strands. These days, manufacturers frequently make the clothes out of a mix of lengths to balance quality with cost. Cashmere clothes displayed on shelves in a Uniqlo store in Singapore. Occasionally, even fake cashmere makes it to store shelves. "There is certainly fraud on this front,” says Frances Kozen, a director at the Cornell Institute of Fashion and Fiber Innovation. Deceitful sellers and counterfeiters sometimes create cashmere blends labeled 100 percent cashmere that contain wool, viscose rayon, and acrylic—and possibly even rat fur, she says. Democratization of cashmere to the masses has destroyed the market by wiping out the top players, and now luxury has lost it's luster! Human beings need to realise that they can't have everything. Deceitful sellers and counterfeiters sometimes create cashmere blends labeled 100 percent cashmere that contain wool, viscose rayon, and acrylic—and possibly even rat fur, she says. And what is also bad is that `so called' luxury highend cashmere brands that cost $$$$ now use plastic buttons on their cardigans instead of mother-of-pearl like the old Scottish knitwear used to. See...the definition of luxury has been lowered...any old thing passes for luxury these days. Luxury has long lost it's luster with many things because marketing can baffle brains that know no better! Purchased a cashmere turtleneck from an old company that was called Gladstone of Hawick. Hardly worn and in excellent condition. Didn't cost much, only 25 bucks LOL. Hopefully it will be o.k and also has higher armholes. Late edit: I just did some research and found out that Gladstone of Hawick used to make cashmere for Burberry's. I must admit my vintage turtlenecks by Ballantyne, Pringle and Lyle & Scott are all superb. Lets hope this is good as well. 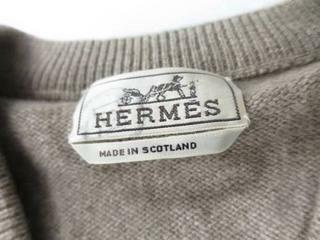 Purchased a vintage made-in-Scotland Hermes cashmere jumper. I decided to collect a bunch of Hermes scotland jumpers to find out what the Hermes experience delivers. Very hard to find these. I will be very interested in seeing how these Hermes hold up over time compared to other top jumpers. I need to find out if Hermes are as special as people think they are. Yesterday l wore all the top knitwear. I had a medium blue kiton cashmere turtleneck with a peach coloured Hermes' made-in-Scotland cashmere v neck over it. It looked and felt very luxurious. I purchased a really decent thick scottish cashmere turtleneck cable knit recently and will say that it is surprisingly good. It is at least a solid 4 ply, maybe even a 6 ply. It is called Laminer and hand framed and made in Scotland. My vintage Paul Stuart 3 ply dark green cashmere turtleneck is exactly like my Ballantyne, but it is slightly thicker. Impeccable quality! My Hermes made in scotland cashmere sweater above is very nice too. Impeccable quality and has the seemingly typical unique sleeves that are a tough baggy. Hermes seem to make sleeves to body builders. Weird.